You may know we like music at Beese’s and having introduced live bands for every Friday* in 2017 and 2018 we are in the process of lining up another great mix of Bristol and nearby talent for 2019. Despite having some fantastic bands lined up for 2019 entry to see them at Beeses will remain free. BristolFerry Boats run a Friday Night trip from Welsh Back to Beeses and the ticket price includes the journey to Beeses AND food when you get here. The Stiff Upper Lips opened 2018 with a stunning performance that had everybody jumping! We kicked off 2018 on our opening night of Friday 30th March (aka Good Friday) in a suitable riotous mode with The Stiff Upper Lips who definitely know how to get the party started. This year saw a mix of swing, blues, funk, soul, reggae with some newcomers to Beeses and some past favourites. As mentioned, in 2019 we’ll be hosting live music every Friday, and were delighted to announce that the lineup is confirmed and can be viewed below – there are definitely some dates to be putting into your calendar! 24 May The Mayfair Players 6-piece covers band. Playing a mixed repertoire of modern and classic tracks, all with a soulful and funky twist. 7 June Soul Reason Soul, Motown and Funk classics guaranteed to get you dancing! 14 Jun The Bad Losers Three minute bursts of punchy, psych-tinged R&B delivered with a swagger. 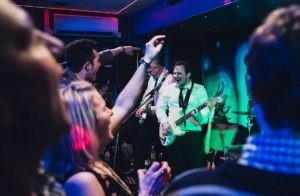 5 July Funk Husky Bristol's premier funk and soul band, back for their second visit of the season, whether you missed them the first time, or want to relive the night! 12 July Finger Buffet A four piece live band with a female lead singer, they know how to get the party started and keep you dancing all night long. The equivalent of a live juke box, they play something for everyone from rock and indie classics to disco, pop and everything in between. 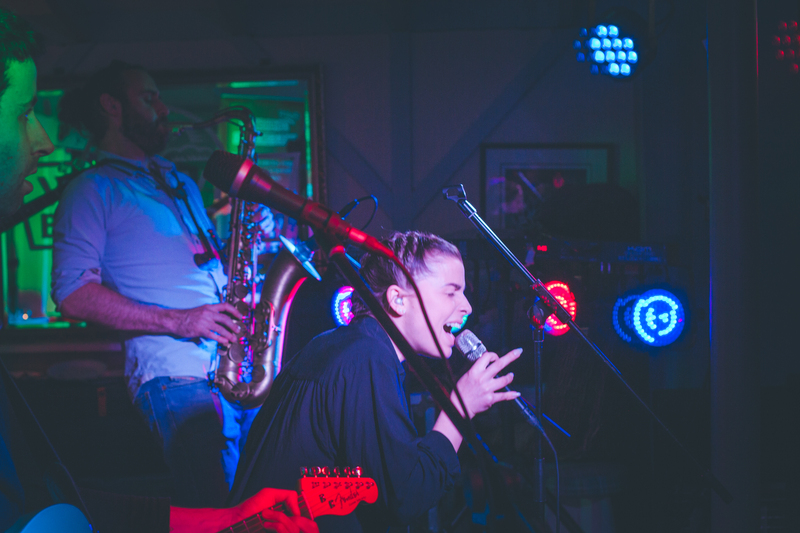 2 August UpTones UpTones are a 5 piece covers band combining Soul, RnB and Motown jams with energetic delivery that will leave the audience wanting more! 16 August JJ Gatsby Swing, Jazz, Latin and Hepcat, played in their very own style. 23 August The Jumps 5 Piece Rock/Indie covers, back for their second visit of the season.